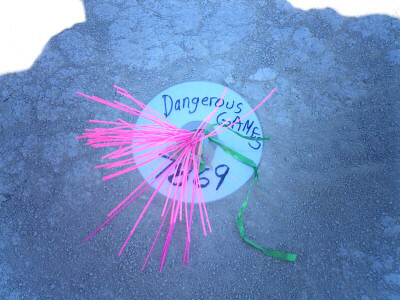 I installed the Dangerous Games at Burning Man 2007, starting Monday afternoon and finishing the next day after the Man had burned four days early. 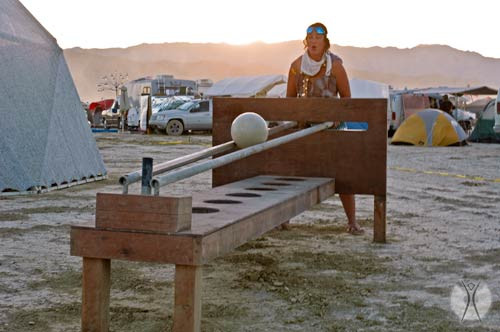 Participants enjoyed playing all of the games. 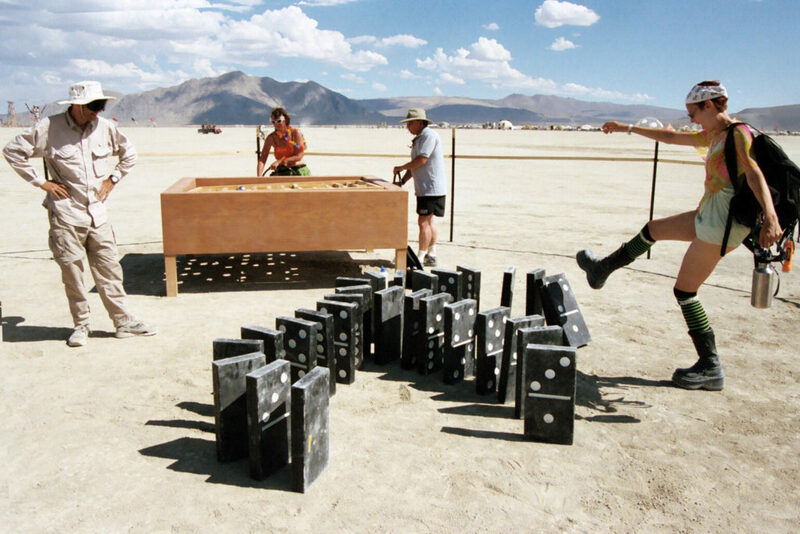 Here campmates Veronika and Clay play the Labyrinth while Burning Man employee Pokie Dot knocks over the Dominos. 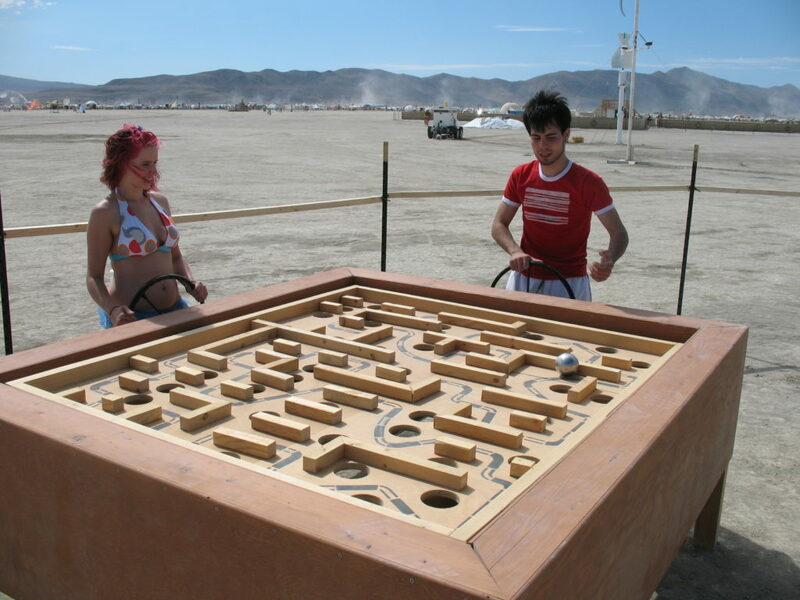 The Labyrinth returned to the desert several times after this, but it never looked as clean as it did in 2007! 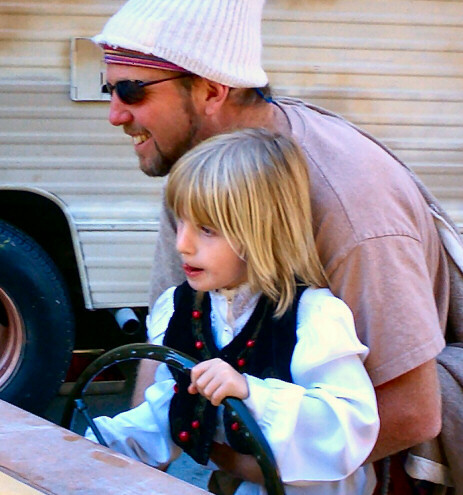 I discovered that Shoot the Moon was easier to play than the smaller original game. 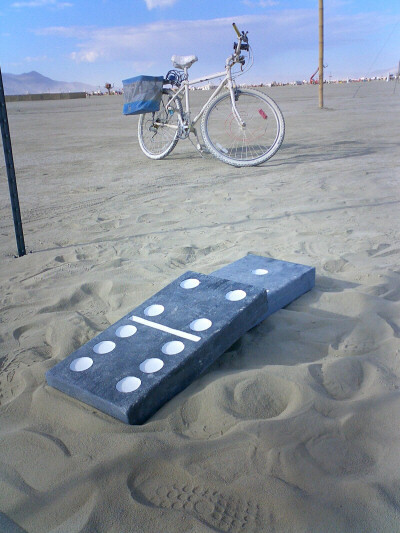 The weight of the dominos led them to make a satisfying clunk when they were toppled. 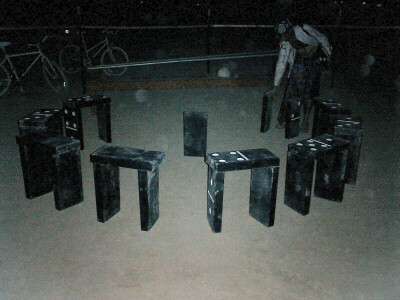 I never saw anyone play a Dominos game, but one evening I did see “Domino-henge”! 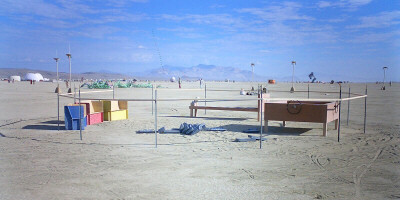 An illuminated fence surrounded the games to prevent them from being hit at night. 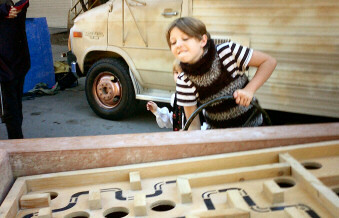 The Labyrinth’s internal mechanism broke after a couple of days, and I needed to mark it out-of-order. 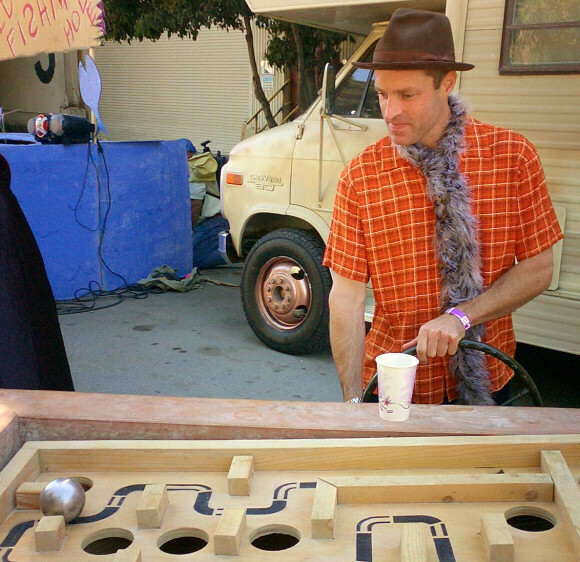 But after Burning Man, I repaired Labyrinth in time for San Francisco Decompression 2007, where it was played during the entire event. 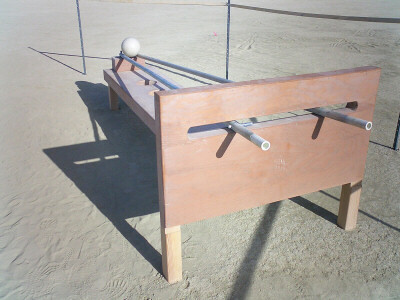 All of the games returned to the desert several times, but never again were all three installed together.